Premises liability is a legal principle that applies to personal injury cases in which the injury is the result of unsafe conditions or property defects. 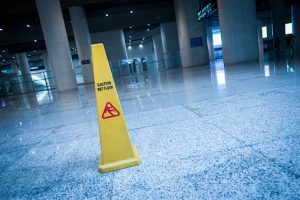 These cases often relate to slip-and-fall accidents, but premises liability applies to other circumstances as well. The Oklahoma lawyers at Carr & Carr Attorneys at Law are dedicated to helping injury victims and their families recover the financial security they need to move forward with their lives. If you believe unsafe premises contributed to your injury, we’re ready to hear your story. Call us today at 888-238-4282 to arrange your free consultation or contact us online to get started now. Property owners and possessors don’t always warn of dangerous conditions that could cause injuries. Like other types of personal injury claims, premises liability cases hinge on negligence. A successful premises liability case must establish that the property owner or possessor was negligent in maintaining a reasonably safe environment. Premises liability cases are frequently related to slip-and-fall accidents, but they can also stem from other situations including dog bites, water leaks, fires, and toxic material exposure. Premises Liability in Oklahoma: Who’s Protected? Slip-and-fall accidents caused by unsafe conditions are common sources of premises liability cases. Invitee: An invitee is a person who enters a property for the financial benefit of the property owner or possessor, or a person who enters a property that is open to the public; business customers and rental property tenants are examples of invitees. Property owners and possessors owe invitees reasonable care in maintaining safe premises and warning of hazards. Licensee: Invited guests and social visitors are considered licensees. Property owners and possessors have a duty to warn licensees of potentially dangerous conditions on the property. Trespasser: A trespasser is a person who unlawfully enters a property or remains on a property after being asked to leave. Property owners and possessors do not typically owe a duty of reasonable care to trespassers. Invitees are the most common victims in premises liability cases. It’s important to note that a property owner’s duty of reasonable care differs in respect to children and whether or not the children are authorized to be on the property. If you were injured due to unsafe premises, you may be eligible for compensation to cover medical costs, lost earnings and other damages. 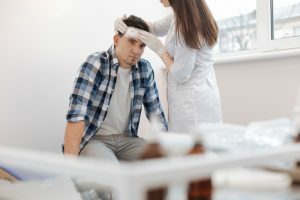 If a loved one died due to injuries suffered in a premises liability incident, surviving family members may be able to pursue medical costs, funeral expenses and other damages through a wrongful death lawsuit. If you or a family member was hurt on another party’s property, it’s in your best interests to consult with a knowledgeable lawyer as soon as possible. Premises liability cases can be especially complex depending on the circumstances of the injury and whether the incident occurred on private or public property. The accomplished lawyers at Carr & Carr have decades of success in personal injury cases, including those related to premises liability. We offer free consultations to help you understand your options, and we don’t get paid unless we win your case. Please call us today at 888-238-4282 or contact us online to learn how we can help you. Our attorneys are proud to serve clients throughout Oklahoma and northwest Arkansas through offices in Tulsa and Oklahoma City, OK, and Springdale, AR.